On October 9, 2017, Mortal Kombat officially reached its milestone of pure and holistic fighting game goriness. Like many franchises that have stayed the course, Mortal Kombat has certainly had its highs and lows all the while reinventing the wheel bringing new innovation with both visual kreygasms and fresh game mechanics. 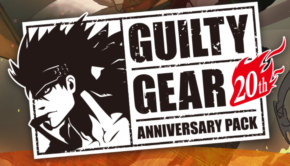 To celebrate MK’s 25th anniversary, we here at FGO would like to take a quick look back at the games that have ultimately made this franchise a mainstay among the many fighting game titles that could not weather the storm so triumphantly. “Finish Him” would become an iconic phrase of the ’90s and ultimately be the start of one of the biggest fighting game franchises ever created. 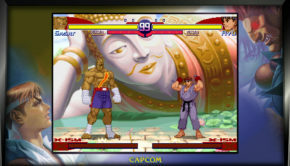 The huge success of Street Fighter II, brought with it an influx of hungry arcade developers looking to emulate the same immediate fanfare Capcom’s famous sequel managed to accomplish. Many tried and many failed miserably and while they were a few standouts here and there nothing looked like it was going release the stranglehold that Street Fighter II had on Arcade goers…that is until Midway unleashed what would ultimately become their most successful and controversial title, Mortal Kombat. 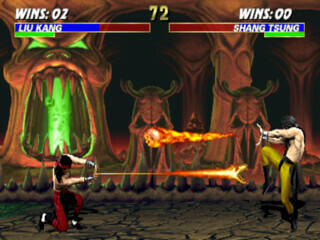 Mortal Kombat released to the masses and from there, its legend spread like wildfire. Its biggest draw would reward a player for besting their opponent by allowing them to input a special command that would result in a most gruesome death following a cold-blooded announcer proclaiming “fatality” not long after. Word of this ingenious game mechanic became the gossip of many school conversations peaking the curious nature of those who had yet to come in contact with the experience first hand. The secret nature of these fatalities would create the same effect that it did for SFII as players only had word of mouth to go on…at least for those who did not have access to a gaming magazine that divulged this information. Though fatalities may have been its biggest draw, there was no denying that MK’s game mechanics gave way to experiencing fighting games like never before. 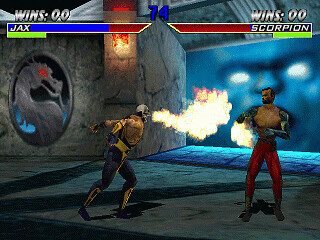 Burning rivals Scorpion and Sub-Zero, who introduced us to mechanics that would command players to “get over here” through a capturing special move or freeze them in place leading to a satisfying follow-up attack, added an instant likability to an already appreciated title. Players who dug deep into MK’s combat mechanics would find an amazing juggle system that would connect with special moves to create insane amounts of damage. MK’s dynamic sound effects would surround the experience as it would mesmerize our ears with bone-crunching uppercuts, painful groans, and approve our distasteful antics by gently using the word “excellent” when we successfully landed a damaging hit. What especially set this game apart from its peers was the use of real digitized performers giving it an aesthetic that no other fighting game utilized at the time. It would be these initial elements that would ultimately lay the groundwork for what was to come and no one could have guessed what the developers had planned next. Midway wasted no time greenlighting a sequel to the series which would bring players more of the benevolent ultra violence that encapsulated the first title. Mortal Kombat II’s roster and fatalities would increase in size and finishing moves would introduce 2 new options of showing no mercy to your opponent. 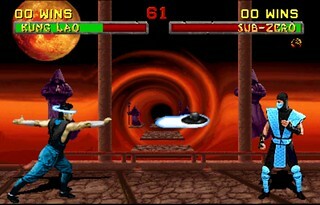 MKII would continue to refine its juggling system while reintroducing hidden characters from the first title like Reptile who had the ability to turn invincible for a short period of time. Like its predecessor, MKII received critical acclaim ensuring that a 3rd title in the series would be coming to arcades not very long after. 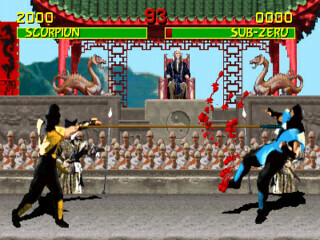 The third game in the series would mark a big turning point for Mortal Kombat as the game would experience major changes to its mechanic and overall roster. 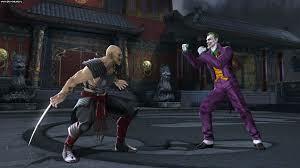 MK3 would bring in two new types of finishing moves though one would be dependent on the other in order to activate. Three of the series veterans Scorpion, Raiden, and Johnny Cage were missing in action and many of the cast introduced in Mortal Kombat 2 did not return as well. Despite the disappointing cast, MK3 brought in some fresh new mechanics that would ultimately become a mainstay of the franchise. Players would now have access to predefined combo strings adding some flair and extra complexity to gameplay that veterans of the series could enjoy. 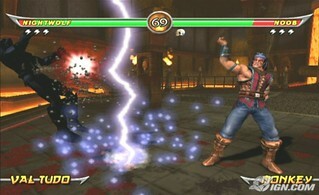 The game would also add a new running mechanic that aided players in keeping the pressure on their opponents especially after a knockdown situation and also gave way to new innovations with transitional stage interactions that would allow you to plow characters through ceilings upon successfully landing an uppercut to the opposition. Unfortunately, MK3 did not get the astounding acclaim that its predecessors received as many felt the newest fatality was underwhelming and the game mechanics did not sit well with fans of the series. 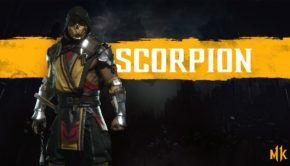 For the first time in the series, MK3 would get an upgrade titled Ultimate which brought back Scorpion, Kitana, and Reptile in addition to secret characters who were introduced in MKII. A final version in the series titled Mortal Kombat Trilogy would be released a year later bringing back the rest of the cast members from MKII though this version would not be available in Arcades. Ultimately, and this is no pun intended, Ultimate Mortal Kombat 3 would be seen as the definitive version of the series for years to come given it was the final Arcade version and no console version was able to ever come close to perfecting its likeness. The 4th installment in the franchise would be making major changes to the series as a whole. For the first time in the game’s history, MK4 would be receiving the full 3D makeover no doubt trying to fit into the industry standard that was now starting to embrace this new technology. It was certainly a shaky time for the developers of Mortal Kombat as they struggled to create the same carnage within the new 3D environment. 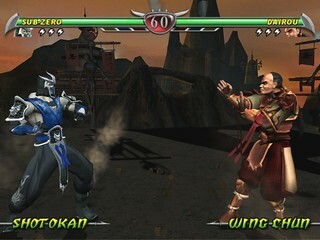 3D movement was now apart of the game which allowed players to step into the background and foreground of the stage. MK4 would also introduce a new weapon mechanic which players could use at any time during the match. This would also include interactive environments that could be used to create damage and an opponent could even use your own weapon against you. Despite it still being a commercial success, it was apparent that 4th title was the lowest point in the series. MK4 would be the last title to ever grace a dying Arcade market and the next installment would not come to fruition until many years later. After a failed offshoot in the MK series, developers would concentrate on bringing the franchise back to prominence with its newest offering. Now having a better grasp of 3D development and time to truly refine the latest title in the series Mortal Kombat Deadly Alliance was looking to bring the series back on the right foot. The 5th title in the series would move in a different direction than its predecessors now truly embracing the use of a full 3D environment for player movement. The latest title in the series would also give each character three fighting styles to choose from that could be switched at will with just the push of a button. While fatalities did return, they would regress back to the first title only giving each character one finishing move to perform. Despite this small mishap, it was clear that what ultimately seemed like the end for the franchise back in 1997 was actually a new beginning and things would continue to improve for the series when it released another title 2 years later. The 6th title in the series kept it safe for the most part bringing back most of the mechanics from the previous title while adding much more content for returning players to enjoy. Deception would introduce a new mechanic that allowed players to break combos during a match and added hazardous environments which could immediately kill you or an opponent. An additional fatality was included for each character and a new finish mechanic which would see your opponent committing a gruesome hara-kiri(suicide). This would also be the developers first official foray into multiplayer online on console which to this day is still playable on PlayStation 2’s legacy hardware by way of a special modification to the game’s original disc!! The 7th title would return to most of the elements from the previous two titles while making a few changes. 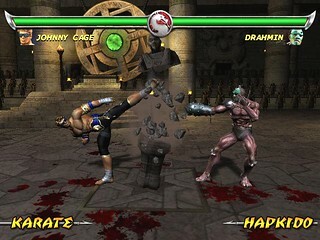 Fighting styles were reduced to two and a new “custom” fatality mechanic was introduced giving the players access to eleven levels of fatalities based on the commands that the player would input. The final title under the Midway banner would go out with a bang as the characters from the Mortal Kombat universe would do battle with characters from DC’s expansive selection of comic book heroes and villains. Mortal Kombat Vs DC Universe would return the series to its roots going back to a semi 2D style while keeping the developer’s cultivated 3D aesthetic. The latest title in the series would improve on its juggle system adding a new mechanic that would create a ground bounce when landing certain air attacks allowing for an additional follow up if done correctly. Developers would also try out new mechanics adding mini gameplay modes that would find players fighting each other between stage transitions which could ultimately give you an edge up should the outcome play in your favor. Their biggest mechanic rage mode would give players a chance to break an opponents guard, make you invulnerable to hit stun, and would increase the damage of an attack. Because of an apparent lack of violence and gore barring the use of DC’s characters, fatalities received a disappointing downgrade. Though the game had fairly good criticisms and was able to sell over a million copies, this was unfortunately not enough to bring Midway to good standing and the company filed bankruptcy with co-publisher Warner Bros. Interactive acquiring the company which was said to have plans on continuing additional content not long after..it would seem like they ultimately decided it would be best if they went in another direction. A new beginning would be a theme that rang true for the next development in the series. Under the banner of a powerhouse publisher in Warner Bros. Interactive, NetherRealm Studios was formed and the legend of Mortal Kombat would once again reach a new generation of gamers. The 9th installment in the series would dawn the original title as a symbolic rebirth of the franchise as the developers would attempt to go back to its formative years by reinventing the 2D style of gameplay that it had started with. Now with a full understanding of 3D development, the latest offering would take full advantage of a new engine updating its visuals which in turn lead to groundbreaking game mechanics. Though fatalities would return in a most favorable fashion, it was the new X-Ray mechanic that most certainly stole the show this time around. This latest mechanic would give players a visual look into the internal damage that the opposition was taking as we witnessed bones cracking and internal organs rupture delivering the most cringe-worthy set of images we had seen from the series yet. For the first time in the series, special moves would have an enhanced version giving players the opportunity to extend juggle opportunities and additional damage in some very pleasing and unique ways. Having Warner Bros. as a publisher would create some amazing opportunities for the developer as characters like Freddie Kruger from “Nightmare On Elm Street” would be apart of what was already a pretty extensive cast of returning characters. With an already buzzing fighting game community, the return of Mortal Kombat made a perfect fit and would soon become a growing part of the competitive ecosystem which was slowly creeping its way into the mainstream audience in ways that the developers of the game could have never imagined. It was more apparent than ever that Mortal Kombat was back in a big way and the momentum from this new found resurgence would not go overlooked. After a successful reboot of the franchise, we would see the series take on its 10th installment as it jumped into a new generation of gaming. 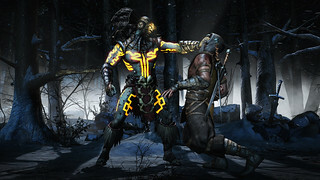 It was apparent that the Mortal Kombat development team was brimming in its new found confidence as it attempted to break new ground in its 10th offering. Its biggest feature would allow players to choose from 3 different styles for each character in the game though these styles, or variations as they were called, would be selected before the start of the match. This new mechanic aimed to encourage players to stick with their favorites rather than picking another character that would be more favorable in certain matchups. It was a great idea and pretty well executed but at the end of the day, certain character variations would still prove to be more overbearing than any of the three variations one character had at their disposal. Though MKX’s most ambitious mechanic did not quite live up to the expectation that it hoped for, there were still plenty of new mechanics that hit the mark in some very gratifying ways. The best of these would be a revised fatality known as brutality that would activate if a player could successfully finish a player off with a stylish combo at the end of a match. This addition would create an amazing buzz especially within the competitive community as a gruesome finish using this mechanic would also result in a roar of excitement given the tremendous skill it took to create this insatiable finishing move. While many of the favorites would make their return from the roster, MKX would take a risk on bringing in more new blood this time around as we would see the fruit of many of the old guard’s loins join the fight and become an appreciated part of the cast. Not long after its release, we would see NetherRealms take more interest on the competitive side of things as they supported more grassroots tournaments and collaborated with international tournament organizer ESL to present the Pro Series, a tournament circuit that gave out the biggest cash prize in MK’s storied history. Almost a year later, developers would follow up with a new version titled XL that would do the unimaginable and revamp the title’s multiplayer online functionality resulting in a massive improvement for the games online experience. 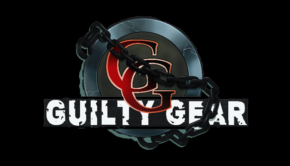 Before this time, a fighting game developer had never re-engineered their original programming to suite a different style of netplay. It was the first time, at least in my memory, that a developer heard the collective voices of what the community felt would make for better online play and actually followed up on it. Needless to say, Mortal Kombat X was both a critical and commercial success and though much of its player base would migrate to the studios newest IP, it is clearly apparent the next title in the series will be welcome with open arms. The future is obviously bright for Mortal Kombat on its 25th year of being a consistent franchise. As technology continues to push gaming into a more photo-realistic experience, I ponder just how far the developers at Nether Realms Studios are going to push the lever. The goriffic visuals of Mortal Kombat’s 25-year legacy leads me to believe that the developers at Nether Realms Studios will do their utmost to ensure that you fight to keep your eyes on the screen for another 25 years. I believe when it’s all said and done, just how far their willing to go is just about as far as the series has come so I would brace yourself if I were you! !